A&L Manufacturing is a third-generation family-owned business founded in 1954. The company was incorporated in 1980. A&L specializes in both production and custom fireplace and fire pit grates (gas and wood), log lighters, fire rings, fire stars, linear burners, h-shaped burners, and steel mesh. Our products are made from stainless steel and mild steel. 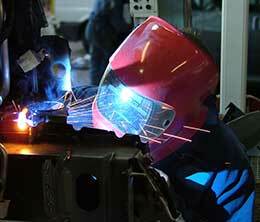 Our welding capabilities consist of mig-welding, tig-welding and plasma cutting. We have the ability to manufacture for other manufacturers, retailers, and contractors. We have the capability to ship our products worldwide. There is no order too big or too small for A&L Manufacturing to produce. Please browse our Product Line, keeping in mind that we are capable of producing additional products that meet your specifications. Best of all, our products are all made right here in the USA.